The organisers have given us an insight into the organisation of the flight and how well it went on the day. 1. How did the flight go? I watched it but missed the end. Did the seeds deploy correctly and were they found? 2. In general terms how were the tv pictures transmitted? Was it SSDV? Did you need special permission to do this from the government? 3. Did you need special permission from the Czech civil aviation authority? Yes, getting the permission from CAA to do this was an experiment of its own…. We had to prove the kinetic energy of all the 93g seeds (descent 2,5 m/s – 5,6 m/s – but only if they rotate!) First prototypes of the seeds were not stabile – the seeds sometimes didnt start the rotation, so we had to make changes in the seed design (14 different designs) – and then we had to show the final design of all 12 seeds to the CAA inspectors by throwing them from a 50m meteorological tower! 4. Will you all be having another go? 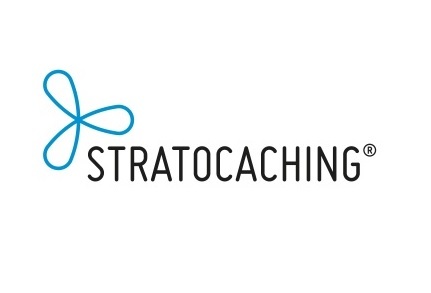 As soon as we rest a little bit and analyse the results, we will think of a possible Stratocaching 2 project. There were houndreds of geocachers out there searching for seeds, a lot of fun! When we solve the GPS tracker issue and other issues (special mobille app Stratocaching was not working well, the rules of the game were not ideal…), it will be even better. Many thanks to the Stratoteam for answering our questions. The whole project reminds me of the MASS EFFECT video game launch promotion, carried out by Project Aether 2 years ago, and the Dutch HAM ‘fox hunt’ game. But the activity is taken to a whole new level. It will be really interesting to see if they iron out some of the technical problems. Questions also arise about the seeds falling on land where the owner does not want hundreds of treasure hunters turning up, but it seems to have been taken in good heart by members of the Czech public. Given the inventive nature of the project, we are nominating it for the BN ‘high 5’ award in this years BN annual awards.